As a birder, poetry found me before love did. 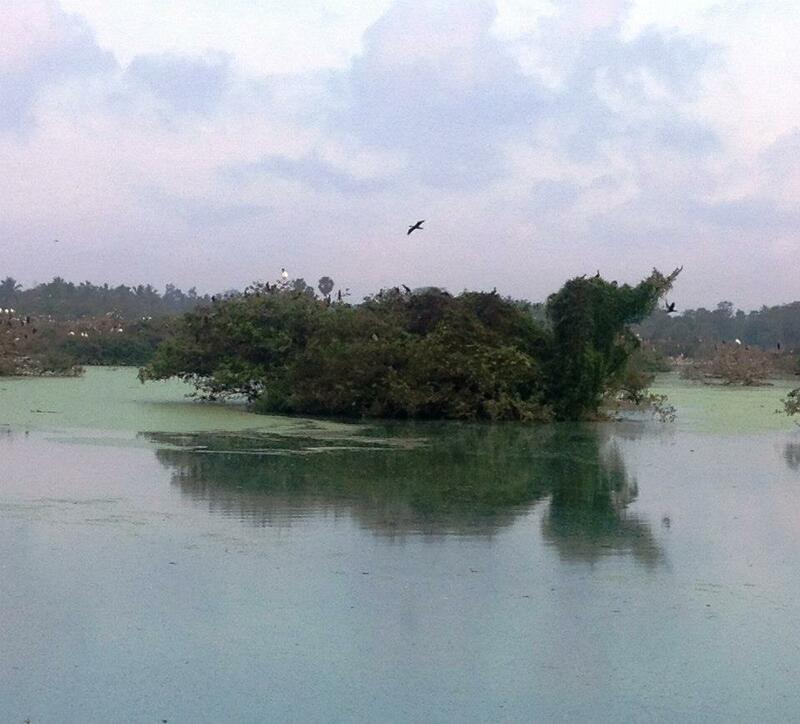 My second trip to the Vedanthangal Bird Sanctuary was a memorable one. I had written about the experience a few months ago. Recently I realized I had bypassed a precious detail. I had posted the below photo with an explanation. There was a canopy of trees, in the middle of the lake, that looked like a bird. Possibly a wader. It was half a poem and three quarters of a painting. The rest was a playlist of haunting ballads as sung by soaring belles. And I had just enough time to soak in the poem. It had me entranced. To me, poetry is a stream of consciousness. I can recognize it outside. It’s everywhere. But never within though. It has nothing to do with humility. I just can’t imagine thinking of, or introducing, myself as a poet. British writer / painter John Berger once wrote about how cicadas contained the souls of poets. And that they couldn’t keep quiet because these poets, when alive, never wrote the poems they wanted to. I was speechless when I came across the natural bird formation on Vedanthangal Lake. It silenced me. And even if I didn’t write about it today, I doubt if I would be reborn a cicada. Poetry is free falling. Only the person, on his/her way down, knows how much sense gravity makes and the amount of ecstasy and fear in it. Thotpurge is one of my favourite places in the world to find poetry. She writes like birds take-off. Happy flying. What would Bruce Lee do about waterbirds? Oh wow… Just saw this.. Thank you so much bird-bard… The world needs people like you who so skilfully paint it one more shade of bright. Pleasure was all mine, TP, you have such wonderful talents. Thank you so much, very kind of you! I learnt that very word last December when an astronomer pointed it out to me. It is also known as “Budhha’s Fingers”. Love the cicada thought! I’m now hoping that’s actually true…. Since we may never find out in their own words, let’s assuredly assume it is! Thank you for sharing, including your thoughts on poetry. The line “Only the person, on his/her way down, knows how much sense gravity makes and the amount of ecstasy and fear in it.” is an exquisite sentence of poetry in and of itself. ❤ You are too kind, ET!